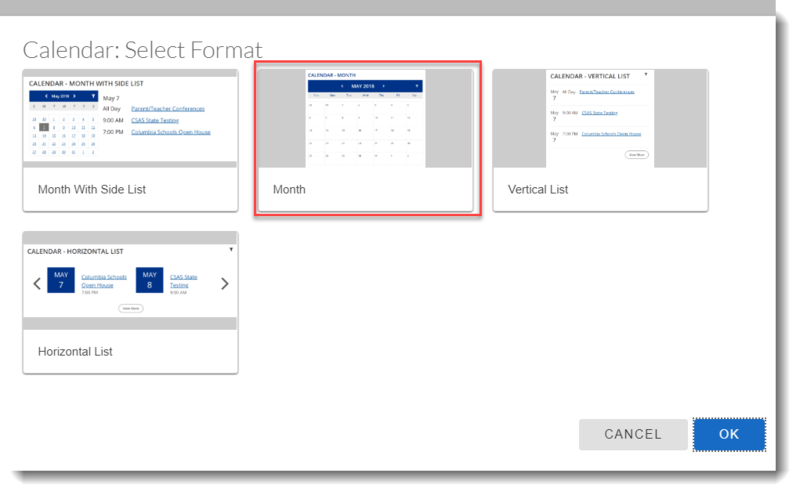 This guide will enable you to set up a small calendar that users can click on to view a large monthly grid calendar. SLS1 calendars had an option to click the calendar to view a larger full-page calendar. SLS2 calendars don't include this as an automatic option; however, it's still possible to set this up. To do this, you would create a large calendar in a hidden page, then post a link above or below your calendar to lead to the hidden page. 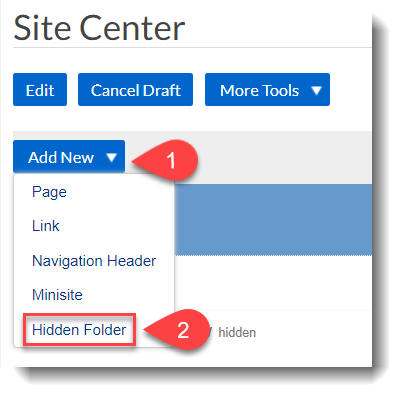 The Hidden Folder and its contents will not display in your site's navigation bar. 2. Click the Hidden Folder to select it, then click Add New and select Page. 3. Click Submit. You will be taken to the edit screen of the new page. Add a Calendar module to the page. 4. 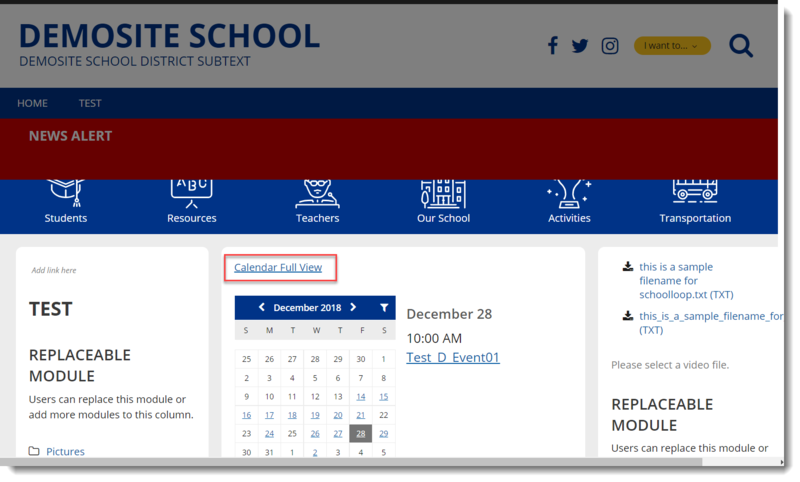 Once the new Calendar module has been added, select it and click the Format button at the top of the page. 5. 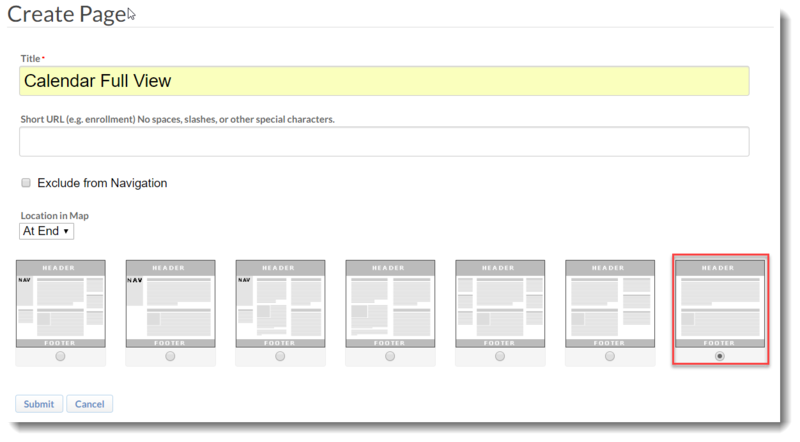 Publish the page to complete setup of the new full view Calendar page. 6. Finally, go to the page that displays the small calendar. Here, you should add a new Text Module above or below the small calendar. In this module, enter the text you'd like to lead to the large calendar. Once the link is set up, publish your changes. 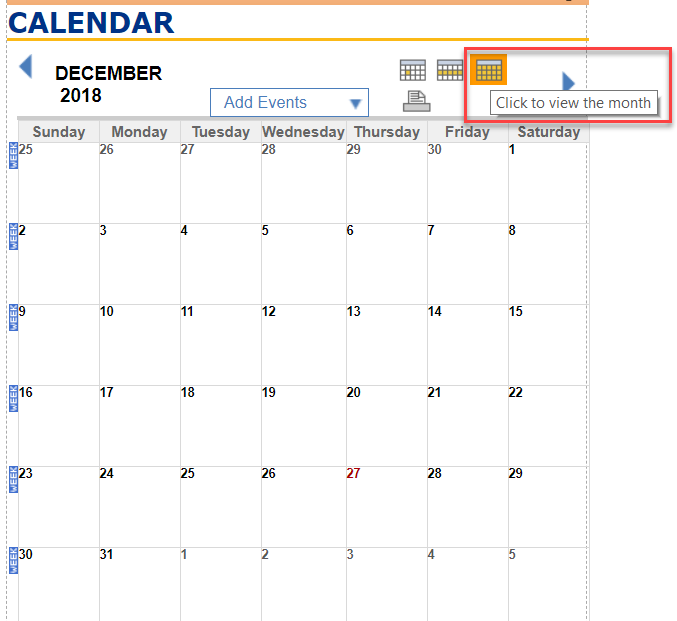 You now have a link above or below your small calendar that expands to display a large monthly grid version of the calendar, taking up the full page.